January is over and that means it's time for Pete to give you his Pop Picks of the (last) month - take it away Pete..! 1.2 million Facebook fans can't be wrong about this talented Australian singer/songwriter. 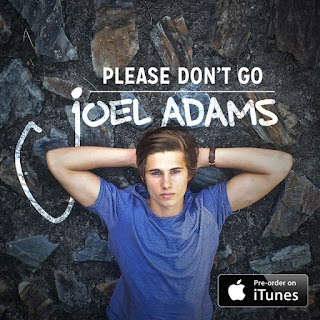 Discovered on iTunes the first thing that strikes you about Joel Adams' debut single is the amazing humming/singing he does at the start of the song. It sets the tone for the song which is full of intrigue and delight - every part of it is interesting and it just makes you want to listen more and more. It's the kind of song that you find something new in every time and appreciate the creativity and soul put into it. The film clip is kind of magical as well with Joel walking in a rainforest seeing visions of light. This song is worth any kind of coin iTunes is willing to charge and for all these reasons, Please Don't Go is Pete's Pop Pick of the month..! When someone has fifteen years of experience doing something they can tend to get pretty good - and that's what we get with Sabina Ddumba. 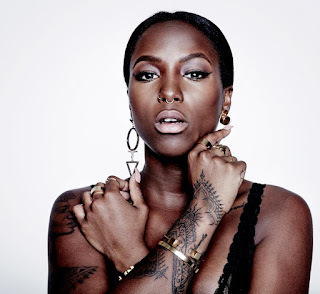 Despite being only 21 years old, she's been singing since the age of six in her home country of Sweden and her vocals show a depth and maturity other 21 year olds could only dream of having. With an almost raspy note Sabina belts out her single Not Too Young with power and skill that perfectly match the great tune and lyrics of the song. This girls is definitely someone to watch but in the meantime Not Too Young will stay a permanent fixture of my 2016 playlist..! Nina Nesbitt has featured in Pete's Pop Picks before and there's a reason. She's good. really good. Way In The World still gets regular plays even though it's almost 2 & 1/2 years old and her new single Chewing Gum will share the same desirable fate. Opening with a haunting tone and beat, Chewing Gum builds quickly and hooks you straight away. Then the chorus just seals the deal. Stunningly beautiful, even in the last couple of years Nina Nesbitt has shown that she's really grown musically and Chewing Gum is the next phase of her musical journey. You'll love it..!